By building the labyrinth od wisdom another city of celestial labyrinths was created! The story that lasted six years is now in a way completed. I will use this chance to look back and reflect upon all the events and experience that I had in these past six years. Back in summer 2006. a book called ” The Sun Labyrinth” written by Adrian Kezele, was released and that was the starting point for me. The book inspired me so much. Although I was interested in labyrinths and mazes since childhood, when I first heard that there was going to be a book about labyrinths I knew imidiately that this was going to be very important book for me. In other words, I felt very compelled to the idea. “The Sun Labyrinth” book touched me deeply because it tells a story about Sun, my dominant planet as astrologers would say. I recognized myself in the book so it was logical to try to build the sun labyrinth. I had to make sure for myself , see if it really works as the book suggested. It was the starting point for all my labyrinths activity. 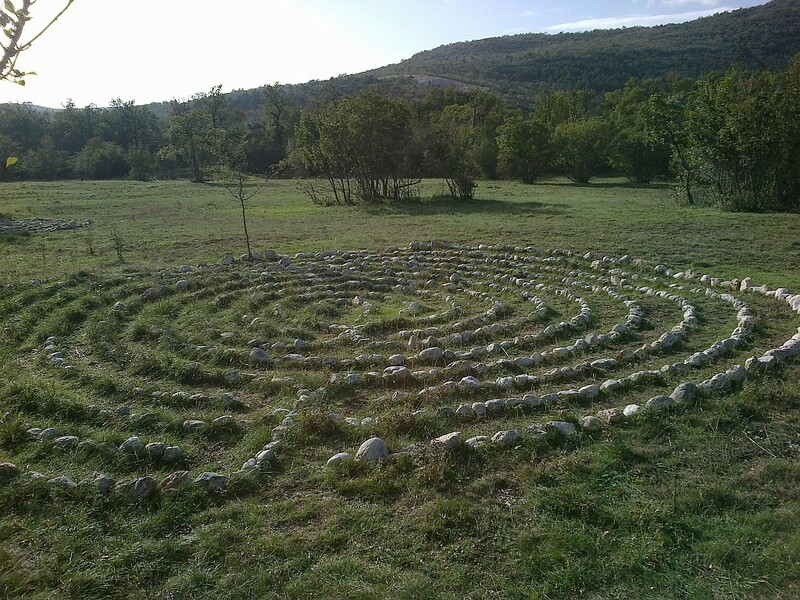 Building the sun labyrinth was an amazing experience. I still remember it clearly. There were so many deep inner experience accompanied by outer sincronicity I never felt in my whole life. Unexpected bursts of energy, happiness, tears and some outer sings like the pillar of rainbow on a clear sky were some of intense things I experienced. And that, for me, was the best proof that labyrinths really work. They really have effect. No doubt you will feel something if you are only a bit open and sensitive. Just try. After that I just couldn’t stop. Although I wasn’t planning to build all nine labyrinths something always happened that pushed me further and made me do it. I can say I felt that drive, that impulse, from within myself. Actually the thought about building all nine labyrinths never even crossed my mind. The land on wich the labyrinths are built is partly private and I never asked anyone for permisson to build. I thought, I will just build this one labyrinth, surely no one will mind. And no one really didn’t mind so I build the second, third, fourth,… and ninth labyrinth. 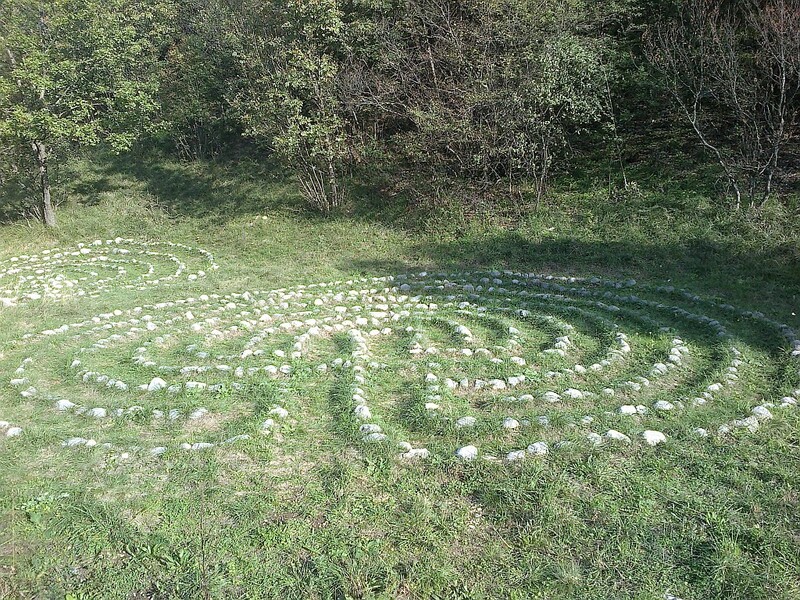 My second labyrinth was the Moon labyrinth, back in summer 2007. What I had in mind was the labyrinth of love because love was always on top of my life priorities. But, when dealing with labyrinths it seems I don’t have much influence. It’s like somone else is deciding and I am only listening and complying. What else can I do? It seems wise to listen. That’s why I made the Moon labyrinth. As it should be, the Moon comes naturaly after the Sun. Only after the labyrinth of feelings could I start thinking about the Venus labyrinth, the labyrinth of love and creation. I made it in the year 2008. I built my first and second labyrinths almost completely by myself. 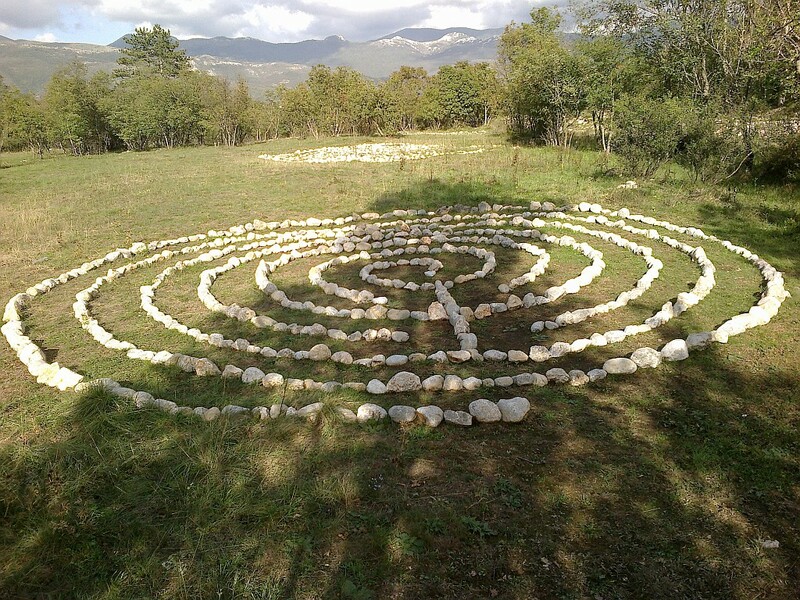 I started to get help with the labyrinth of love and all the other labyrinths. 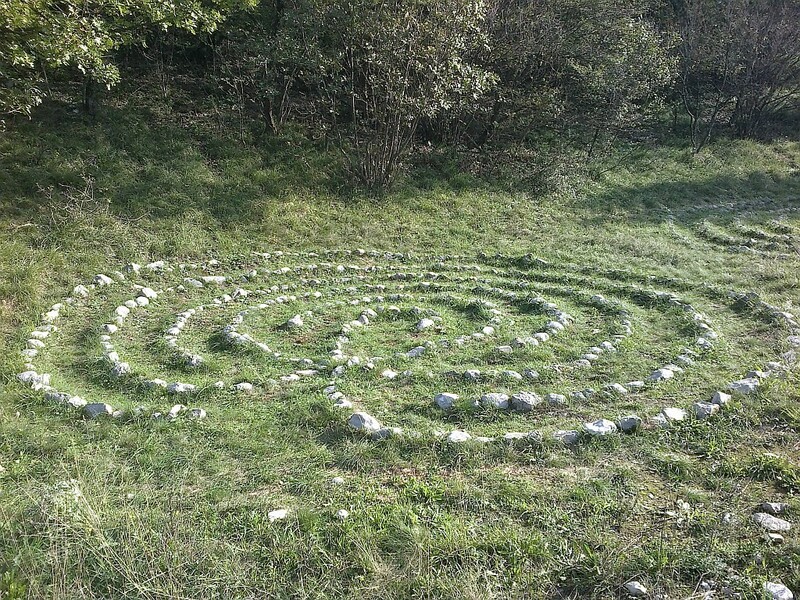 My friends also started to recognize the importance of labyrinths so they came and helped. Fourth in a row was the labyrinth of transformation, back in summer 2008. and year after that together with my friends I made the labyrinth of energy. 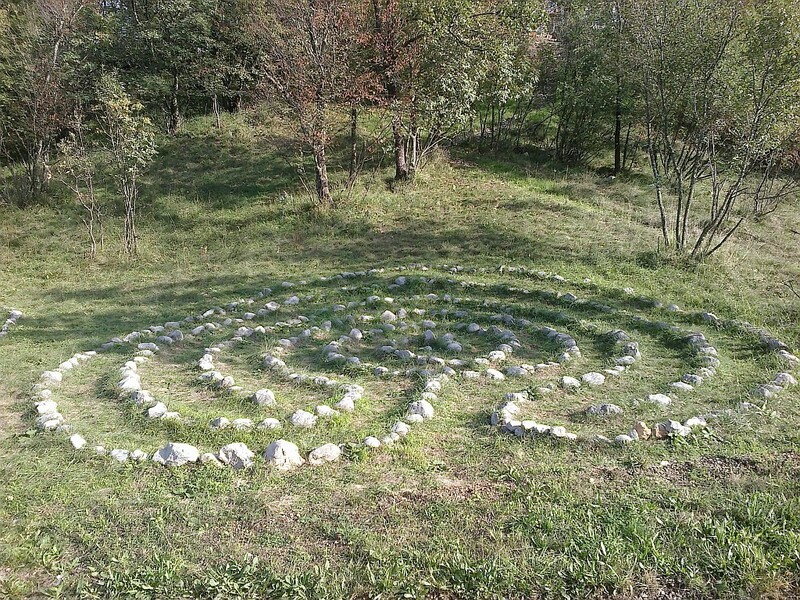 So there were now five labyrinth by that time and the land alongside my house was fully occupied by labyrinths. I remember I thought to myself at that time I won’t build any more labyrinths. There is simply no room for more. That’s it, I thought. Was I wrong! During one of my walks on the nearby wide meadows I noticed an interesting place. It was a place on the other side of the creek by which first labyrinths are built. I knew that would be the place for the next labyrinth. 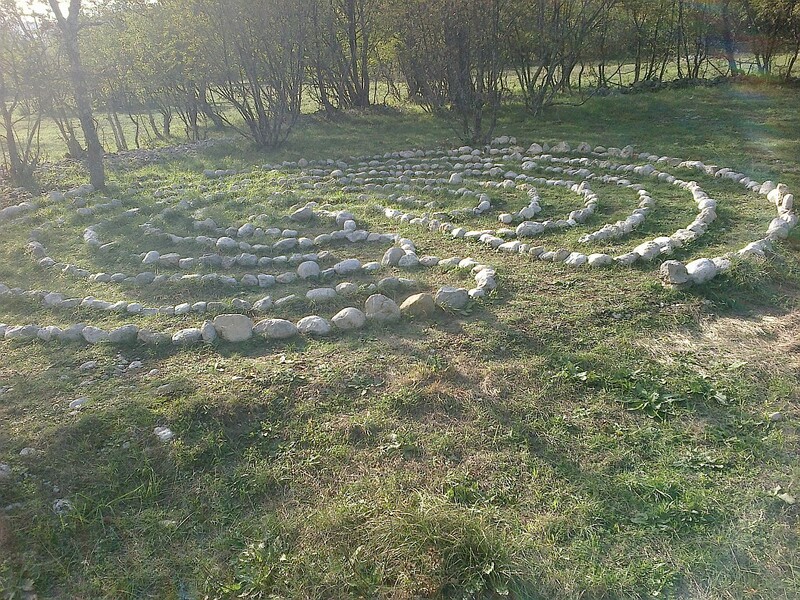 So we made the labyrint of connection in the summer of 2010. followed by labyrint of life and death, labyrinth of freedom and labyrinth of wisdom in the end. It took six years for all the labyrinth to be made. It seems a lot but it’s only a fact. What matters is what is now. And now, there are all nine labyrinths, the city of celestial labyrinths. 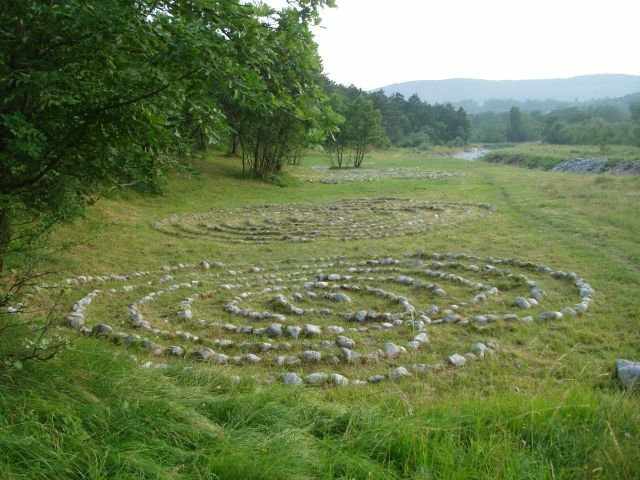 Each of these labyrinths brought something new for me, new experience, new ideas and in a way set my life on a different course. 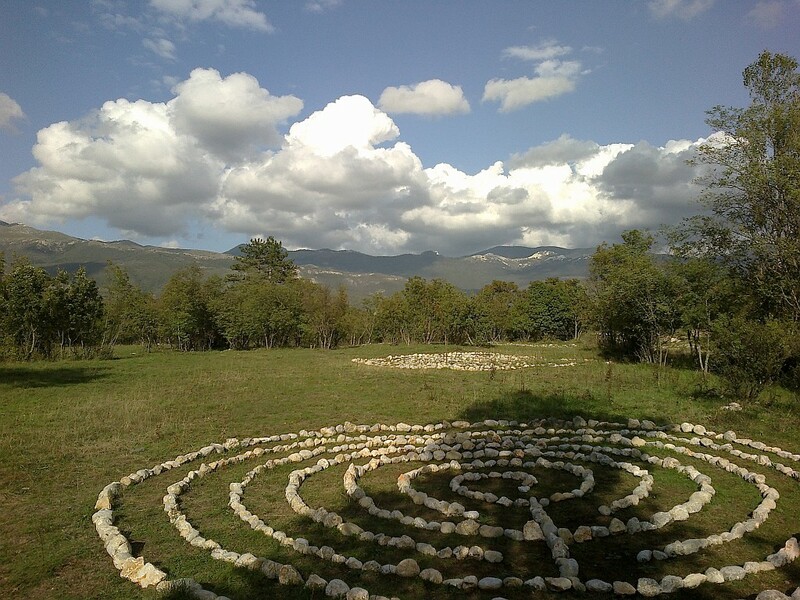 One of the most important moments for me was building the labyrinth of transformation. That labyrinth created some events thet led me to apply to “Activation course” that I avoided for a long time. That course made a great influence on me. Broke some strong inner walls and blockades that held me back and gave me a great momentum on my spiritual path. It also made me more opened and free individual. And those qualities grew with each new labyrinth I buit. It is so interesting, and I noticed that from my own experience and experience of my friends, that life always rewards those who set themselves on a spiritual path, the path to our inner self, after they realize that importrant answers and thing they search can’t be found outside. As one wise saying says, the longest journey we are to take is one between our head and our heart. And that is the spiritual path, the path of the heart. 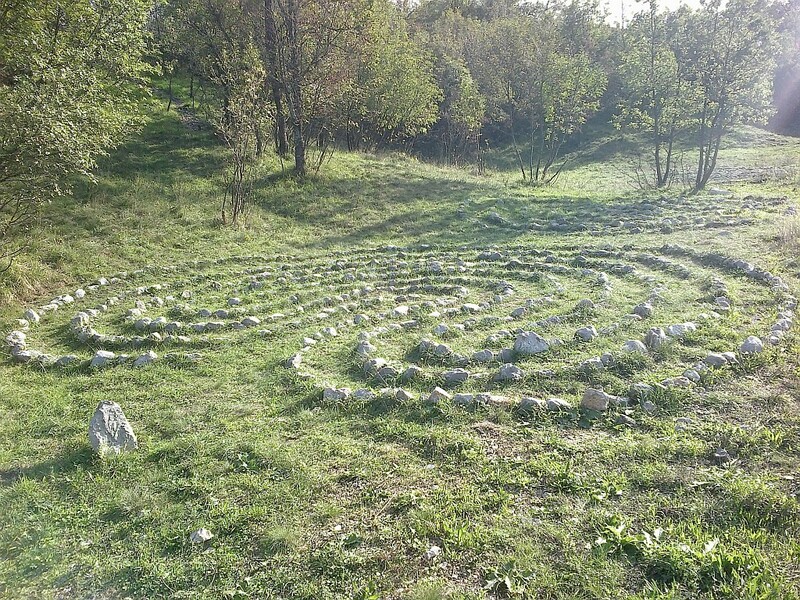 I spent many time believing that my labyrinths are not visited but again I was wrong. 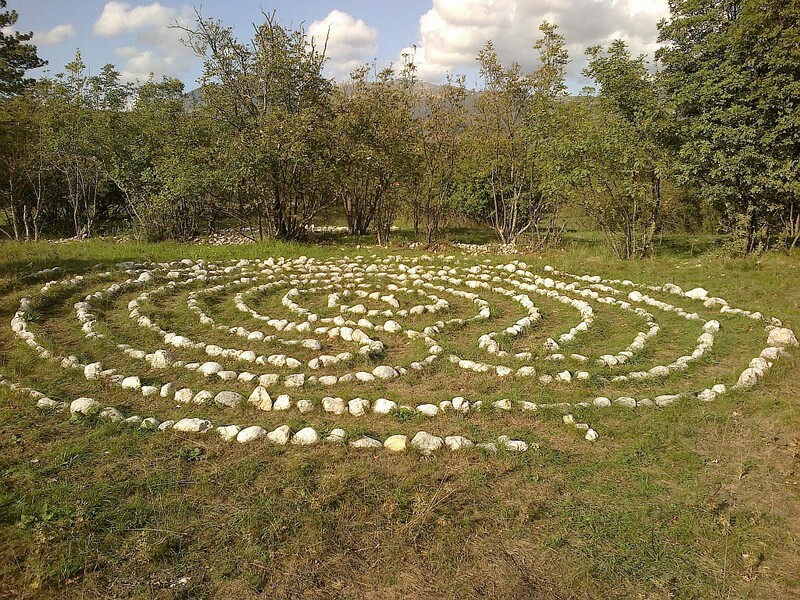 People told me their stories and stories of others walking the labyrinths. Some of those stories are incredible. They have one thing in common. Something happens, a feeling, an event. Sometimes it’s nothing and it seems meaningless. Sometimes people laugh in labyrinths, sometimes they cry and yell. It can be funny and it can be sad. Some people walk very slowly some run or dance and some don’t feel a thing. It’s all ok. There is no logical explanation as to how the labyrinth works. No answer how it works. Maybe it’s best that way. I can only hope that the labyrinths will push all other people that will walk my and all the other labyrinths that are built all over the world, onto the path of the heart. If that happens to only one person only then can I say I made a difference, I made something valuable. And this time I won’t say that’s it. 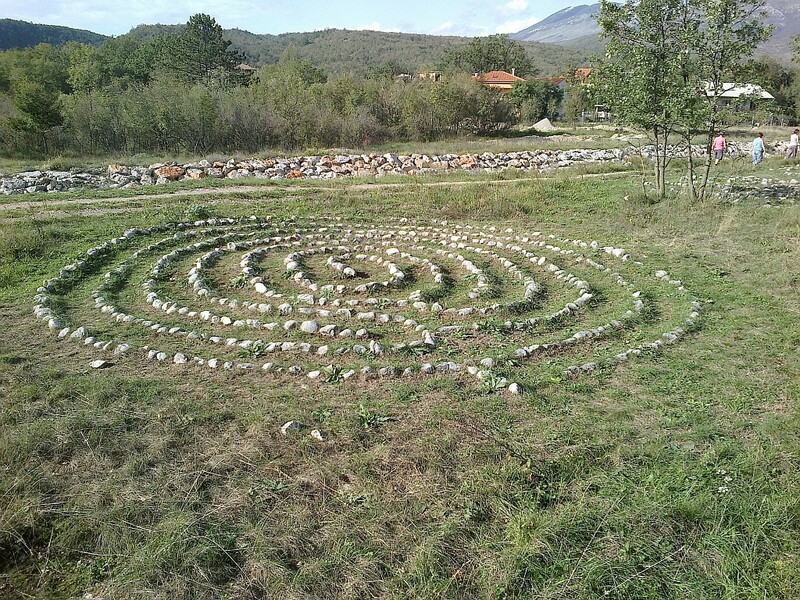 Besides these nine, there are many more labyrinths, practicaly endless labyrinth forms can be made. What will come next I simply don’t know and cannot say. I’ll let someone or something else decide. Something that is way bigger and more intelligent then me. And I will listen.